Piano, organ and vocals from Liszt, Blake and Saint-Saens provided heavenly music for yesterday’s wedding at The Historic Old Church in downtown Portland. 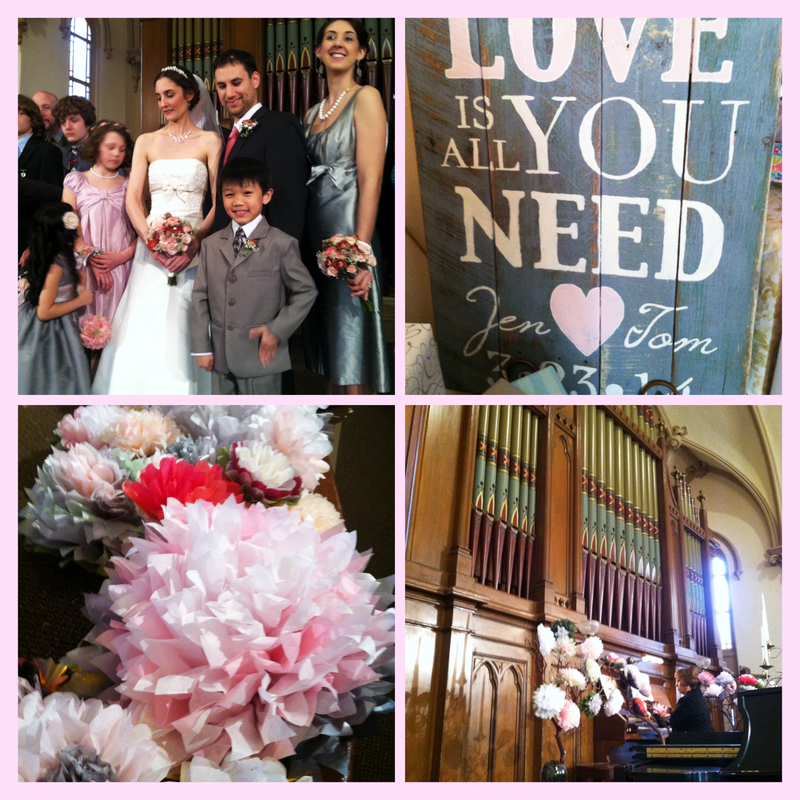 Giant tissue blossoms (made by the bride) decorated the aisle and the altar. After exchanging vows, Jennifer and Tom sang If I Had Words to each other and then invited the audience join in. At the reception, guests were treated to a delicious farm fresh menu prepared by the groom. The choices ranged from chicken tea sandwiches and mini-baked potatoes w/crème fraiche to maple syrup bacon crackers w/candied walnuts. Also served were yummy gluten-free cheese puffs baked by the bride’s mom. The couple met in the PSU Music Department and have been together for 12 years. They reside in Beaverton where Jennifer teaches music and Tom is exploring a catering business. Congratulations, Mr. & Mrs. Colett. May the sweet music of your wedding day echo in your hearts forever.